The Metropolitan Opera rightfully deserves the title of the best opera house in the world. Productions have a high level and the main characters are sung only by the best singers. Excellent Slovak bass ŠTEFAN KOCÁN has been on this stage already for nine seasons, and is currently the only Slovak who has an engagement there. 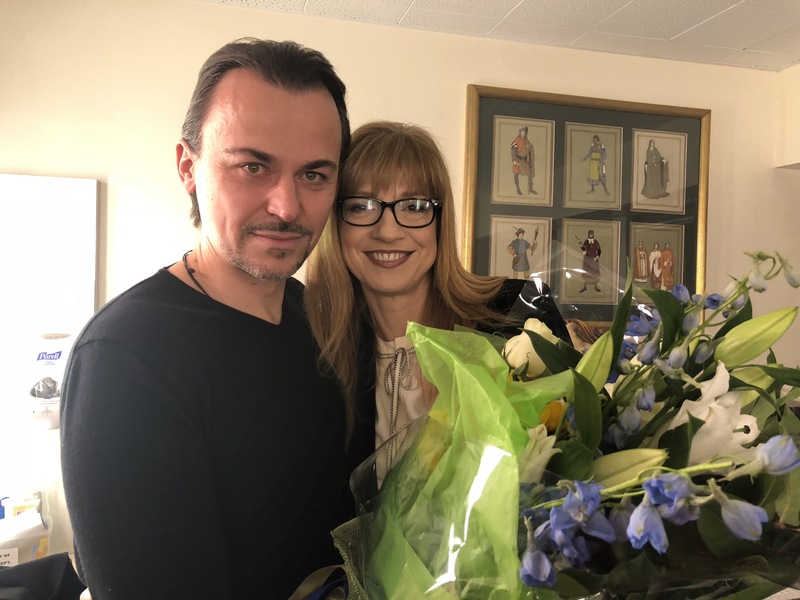 In the season 2017/2018 he performed in Verdi’s opera Il Trovatore. I spoke with him directly after the opening night in New York. 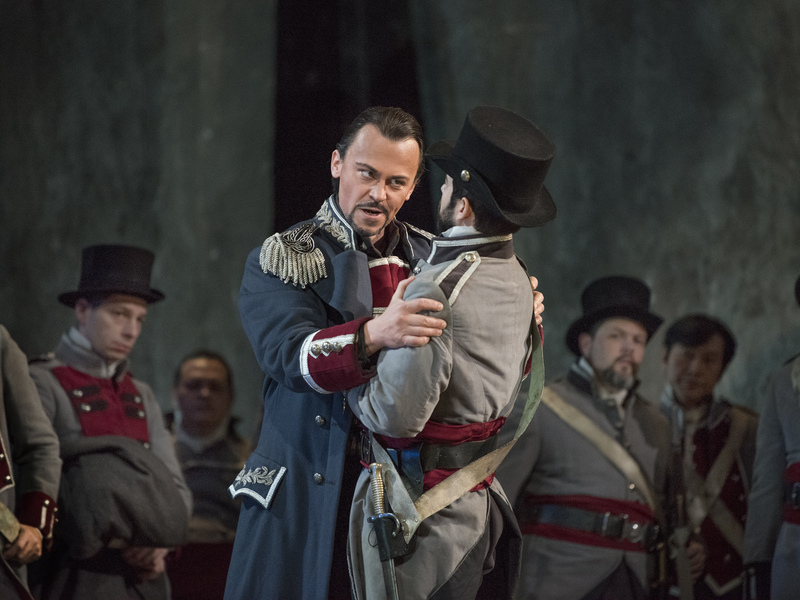 Singing in the MET opera is the dream of every opera singer. What’s it like to work here? Really good. Not only in the MET, but all over the United States, there is no time wasting, everything works, everybody is ready, and does his job a hundred percent. Of course, there are also problems here, but they are promptly solved. European theaters are very unprofessional compared to the Metropolitan Opera and there is a lot of wasted time. It starts with the signing of the contract and continues for example with an unnecessarily long rehearsal period. When I look at it as a professional, in the US, work is harder but more effective, and I like it. In my opinion, this is what professional work should look like. Before you got the opportunity to sing at the Metropolitan Opera, you had been traveling around the world stages for ten years. You were told New York was special. The first time I came for seven weeks for Verdi’s opera Aida. Upon arrival, I was quite a bit disappointed. New York is a huge city. There is constant noise. Chaos and turbulent energy rule. Everything is very expensive. The problem is also to find a normal apartment. I was surprised how expensive it was to rent an apartment, even one in a terrible state. I come from a simple village, but the overpriced flat I rented was well below the standard of our old house. New York is a reflection of today’s chaos, making money and artifacts, and pulling out money from people’s wallets. I have seen this all in a very concentrated form and I did not like it at all. That’s why I was disappointed. On the other hand, however, you have to say that you can find everything here, literally on every corner. When one wants to be free from reality, there are many possibilities, whether visiting something or going out to have fun. Whoever looks for fun, finds it, and whoever looks for peace does not find it. 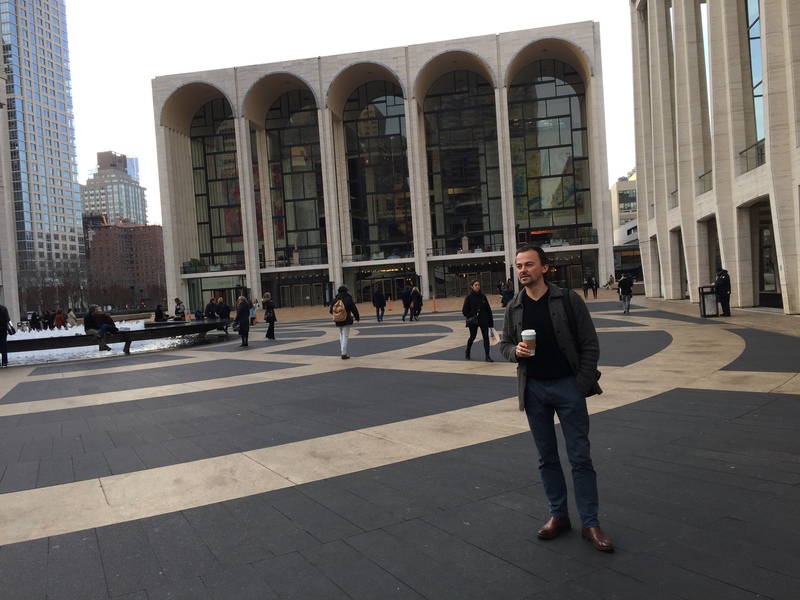 In the Metropolitan Opera you are no longer a newcomer, do you still get jitters before a show? Of course. I would not call it jitters. It’s more of a thrill, quite a strong one, a lot of adrenaline. It’s a great deal of pressure, and of course you can feel it at every stage. The more prestigious the scene is, the greater the pressure. You’ve got to get used to it. The pressure never goes away – on the contrary, it gets bigger – there is still something to prove. Distinctly said: the runner runs the world record and has it, the painter paints the picture and it will remain forever. The opera singer must always re-create his character, it never lasts, one must prove his qualities repeatedly. It’s an abnormal pressure that I cannot compare to anything, certainly not sport, because the athlete can train the outer muscles, but the singer uses internal muscles that cannot be controlled at all. The voice is influenced by everything: the chemical composition of the body, hormones, sleep, and weather. It is very demanding. But you are returning to New York on a regular basis, and you have even steady fans here. 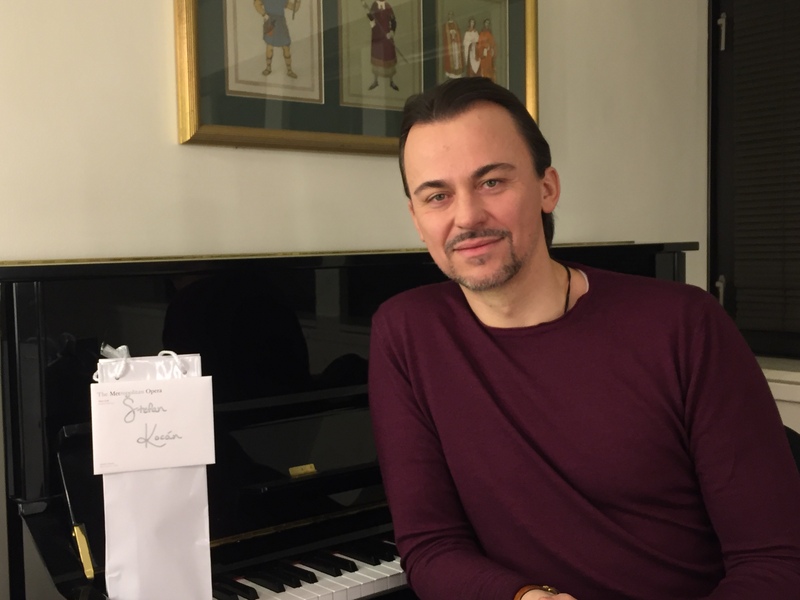 Before opening night there is a nice habit of so-called “toi toi” presents from colleagues, but also a bottle of champagne from the theater that awaits every artist in the dressing room. After the show fans usually wait at the back entrance of the theater. In the Metropolitan Opera you can also get into the dressing room of the singer. Of course, you must be on the list of the security guards backstage. Each singer personally lists the names of the people who can come to the dressing room. I invite only really good friends I know personally. In the world of the big opera, there must be a lot of intrigues and backstage games by agents, singers. Can you find real friends here? In the theater environment it is really competitive and there are lots of intrigues. For myself, I will say that I was never interested in these “games”, but there are people who just play these “games” and get what they want. I do not like this aspect of work at all, and sometimes I am literally disgusted by it. I’m not naive, I know these things exist, but it hinders me. Regarding real friendships, and I’m talking now about the highest league where people go around the world for the biggest opera houses, it’s not possible to find real friends. It is possible to find good acquaintances with whom I like to go out if I have time and strength, but I have not seen true friendships in this highest sphere. Exceptions only confirm the rule. What is it like to have your life planned so that you know two to three years ahead what you will be doing on a certain day? It is binding and partly frightening. It is good that a person has some work before, but it can always happen that the production is canceled or something will change. Excellent Russian pianist Vladimir Horowitz said it very aptly: the hardest thing about my profession is the fact that I know that in two years I will play such a concert here and there and I have to give the expected high level performance.